Our top songs are definitely the cream of the Christmas crop. This week is the super powerhouse, White Christmas. This endearing song of reminiscence takes us back to an old-fashioned CHristmas. Irving Berlin penned the classic in the summer of 1940 (amazing how many Christmas classics were written in the heat of the summer). There is a little controversy about where the song was written. It might have been at the Biltmore in Arizona, but more likely in La Quinta, CA at the La Quinta Hotel. 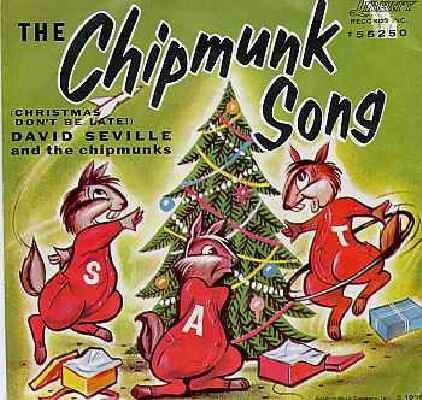 Regardless of where it was written, it is forever linked to the singer who sang it first- Bing Crosby. Crosby made the first public performance on the radio show, The Kraft Music Hall, on Christmas Day in 1941. It would then be recorded in May 1942, taking only 18 minutes to get the track finalized! It was released as part of a collection of 78s for the film Holiday Inn. The song wasn’t initially popular, more people loved the tune Be Careful, It’s My Heart. But soon the public started to love White Christmas leading it to become a #1 hit on the charts. It is the only single to be a #1 hit as part of three separate cycles over three different years. This isn’t the only record, award or distinction for the song. White Christmas won the 1942 Academy Award for Best Song. It was the inspiration for the 1954 film of the same name. It is on most lists named as the #1 Christmas song of all time. NPR names it as #2 on the list Songs of the Century, just behind Over the Rainbow. 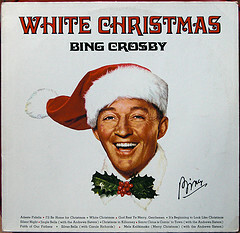 The Crosby album Merry Christmas, including his version of the song, was released in 1949 and has never been out of print since. Most remarkably is the status in holds in the Guinness Book of World Records- the Best-selling Single of All Time. The Crosby version has sold over 50 million copies world-wide. If you include the more than 500 different recorded versions the sales total reaches over 100 million copies of the song sold world-wide. 100 million!! The tune also holds a unique place in American History outside of Christmas and songs. The radio broadcast of the song in April 1975 was the pre-arranged signal to begin the American evacuation from the city of Saigon in Vietnam. Rockapella– Another acapella version, yes from HSN! Canadian Brass– A clever instrumental version from the group, includes the intro too! Countdown Podcast #11- 293 Days to Go! And the Winner Is… Click to hear this week’s podcast. On Jeopardy! tonight, Alex Trebeck asked a question about the origins of the Holiday Inn hotel chain. I should have known this: the name Holiday Inn was given to the original hotel by founder Kemmons Wilson’s architect, Eddie Bluestein, as a joke, in reference to the musical film Holiday Inn (1942), starring Bing Crosby and Fred Astaire. I find it hard to imagine the quaint New England Inn (open only on holidays) in the film inspiring the modern hotel chain. 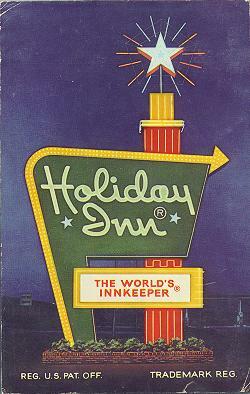 The first Holiday Inn opened in Memphis in August 1952 as Holiday Inn Hotel Courts. The motel was demolished in the early 1990s, but there is a plaque commemorating the site. The brand saw its heyday in the 1960’s and 70’s and fell out of popularity with the explosive growth of new hotel chains in the 1980’s. The brand name Holiday Inn is now owned by IHG, the largest hotel group in the world, which in turn licenses the name to franchisees and third parties who operate hotels under management agreements. 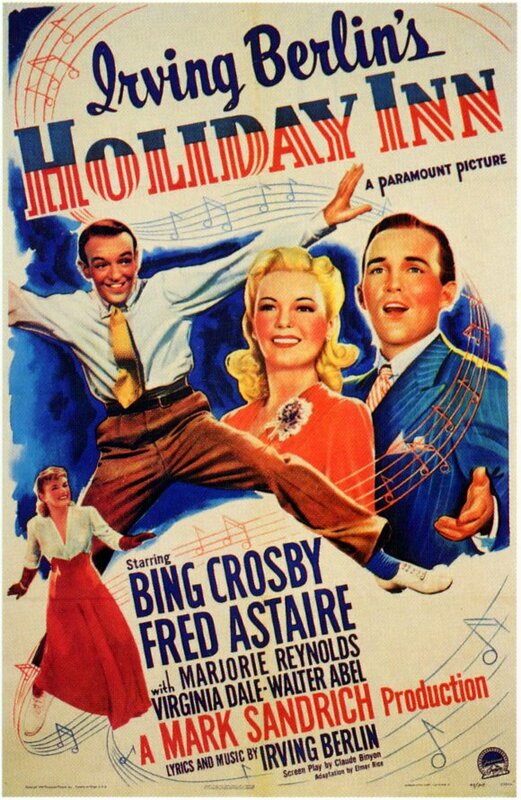 The successful movie starring, Holiday Inn is one of the musical staples of the Christmas season. The 1942 movie launched Irving Berlin’s song, “White Christmas,” which won an Oscar. In my opinion, not too many singers have performed this song equal to Crosby’s delivery. In the film, the Bing Crosby character retires from showbiz to open a rural inn, and the plot revolves around the two men and the women they love. The internet movie review site, Rotten Tomatoes, calls the plot “barely logical,” but it’s the musical numbers that keep viewers coming back. I don’t know why, maybe it’s the canning experiences I have had, but I love the scene where Jim Hardy (Bing Crosby) gifts his friends the fruits of his farming labors, peach preserves, and the jars explode. Countdown Podcast #5- 335 Days to go! This week we look a little more closely at snowmen and how they fit into keeping our holiday spirit alive. Topics include white Christmas, high altitude, moose, Burl Ives, Gene Autry, and of course snowmen. Natalie gives Jeremy a little quiz on the Classic 1969 television special Frosty the Snowman. Is it a button or a carrot for that nose? Coming soon… more discussion on the role of snowmen and the perfect way to build one, and how they show up in lots of strange places. Roger and I are headed to the grocery store because there’s a “chance” that it may snow/sleet this evening, and like most Marylanders, we become a little crazy if the white stuff is in the forecast. I remember when I was a teen, hearing about a local car dealership that promised to give away a car if it snowed on Christmas day. These deals still exist, but the odds are probably greater that you will be struck by lightening than win a car. (Actually, I have no idea about how many people are test driving cars, but the National Weather Service sets the likelihood of being struck by lightening at 1/1,000,000). This year, Pohanka Hyundai in Fredericksburg, VA offered one lucky winner a car or $15,000 if it snowed on Christmas. The fine print for the dealership’s ad read “a minimum of 5” of snow must be measured at the Ronald Reagan International Airport between 12 am and 11:59 pm Christmas Day.” Only two years in Maryland recorded weather history (122 years) has there been snow over five inches, and I’m guessing it’s even more unlikely for Fredericksburg to the south of us. So if we all dream of White Christmases, how likely is it that we will get one? The National Climatic Data Center has a nifty map of the entire U.S. Maryland sits at 11 – 25% for snow on Christmas (even less on the Eastern Shore). Based on my experience (and my lifetime in Maryland gives me plenty), even 10% is a high number. A 2005 article in the Baltimore Sun confirms this exactly. If we count every Christmas since the beginning of Baltimore snowfall record-keeping (1893), we’ve had snow fall on Christmas Day 12 times. That’s 10 percent. If we count the Christmases when snow fell or was on the ground, it comes to 29 times, or closer to 25%. So, the bottom line is that IF it snows (or sleets or whatever) tonight, I’m going to appreciate it instead of curse it. And I’ve learned that if I want a White Christmas guaranteed, the best move I can make is to rural Michigan, Minnesota or Washington State.